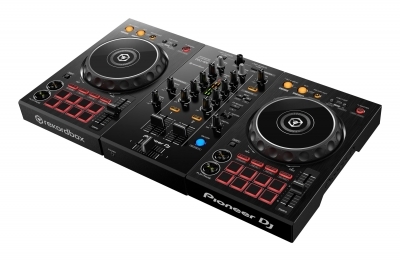 The DDJ-400 is the ideal piece of kit for first-time DJs. Its controls enable you to easily learn the basics, plus it’s packed with features that will help you develop your skills. The controller is compatible with the new Tutorial feature in rekordbox dj, which explains basic equipment operation step by step. Even if you’ve never ventured behind the decks before, you can learn how to DJ. 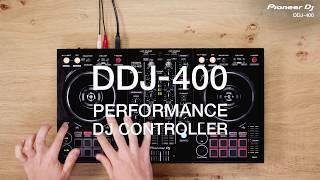 Thanks to the lightweight and portable design, you can take the DDJ-400 to friends’ houses to practise together or bring it to parties and small venues to perform. 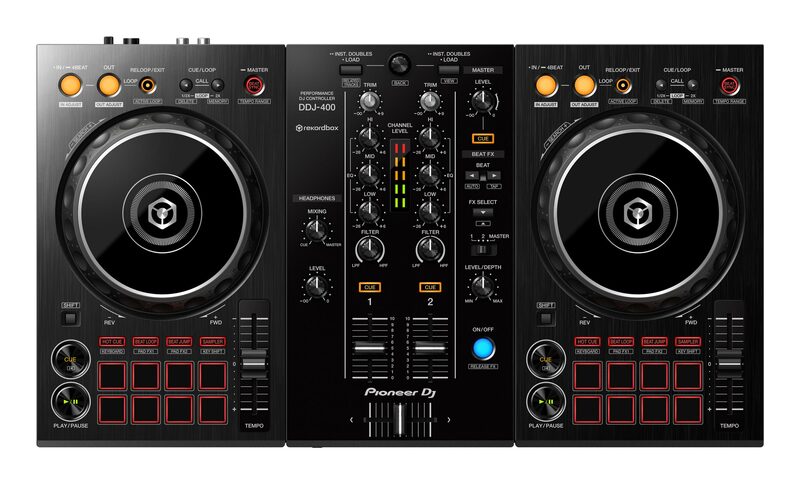 And if you want to take mixing to the next level, you’ll feel at home in the club DJ booth because the DDJ-400 inherits design traits from our professional range. The layout of dedicated play/pause and cue buttons, Beat FX, CDJ-style looping controls and more isinherited from our NXS2 set-up. Club-style layout The buttons and knobs on the DDJ-400 are arranged in the same way as those on our club-standard CDJ-2000NXS2 and DJM-900NXS2 set-up. Mixer section Use the trim and EQ knobs, and the headphone cue buttons, in exactly the same way as those on the DJM-900NXS2. Mic input circuit– clear audio without distortion, even with high input level. USB bus powered–no need to plug into the mains. Association: tracks sharing traits such as artist, label, etc. 1 To use this feature effectively, build up track information in your rekordbox library.